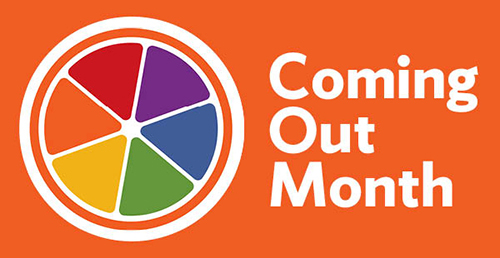 The LGBT Resource Center presents the annual Coming Out Month celebration throughout the month of October. The celebration coincides with National Coming Out Day on Oct. 11 and features lesbian, gay, trans, queer, bisexual and asexual-themed programming. Some of the month’s events include Queer Prom, free HIV and STI testing, Queer and Trans Yoga and an Identity Series session on asexuality. Tabling will take place in the Schine Student Center on Monday, Oct. 2, to inform the community about Coming Out Month events and opportunities. The month kicks off with LGBTQpartAy! on Wednesday, Oct. 4, from 7-9 p.m. in Jaberwocky Café in Schine, where members of the campus LGBTQIA+ communities are invited to socialize, listen to music and enjoy delicious free food. Please note that the time for Queer Yoga has changed to 7:30-9 p.m. at Archbold Gym, Spin Room (first floor). This year’s keynote event is speaker Janaya Khan, co-founder of Black Lives Matter Canada. 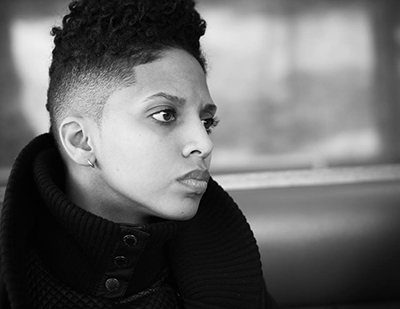 Khan is a Black, queer, gender-nonconforming activist, staunch Afrofuturist and social justice educator who presents an enlightening point of view on police brutality and systemic racism. Khan’s presentations are underpinned by a deep commitment to social transformation. Khan will be presenting on Thursday, Oct. 26, at 7 p.m., in Maxwell Auditorium. In addition to Coming Out Month events and celebrations, students can get involved by applying to be part of the delegation the LGBT Resource Center funds to attend Creating Change. Creating Change is a national LGBTQ leadership conference that grants students the opportunity to attend workshops, plenaries and caucuses that highlight queer and trans identities, experiences and communities. The application will be available until Monday, Oct. 9. For more information, email lgbt@syr.edu. Members of the Syracuse University community can show their support in a large way by adding their names to the Queer and Trans Solidarity List. “The Queer and Trans Solidarity List is a way to celebrate and recognize our lesbian, gay, bisexual, trans, queer, questioning and asexual communities and their allies,” says Tiffany Gray, director of the LGBT Resource Center. “This list signifies the immense support for our students and community members with marginalized genders and sexualities, and serves as a reminder that queer and trans resistance and existence is beautiful.” To add your name to the list, email lgbt@syr.edu from your Syracuse University/ESF email account with your name as you would like it to appear. The deadline for submitting your name is Oct. 6. For more information, contact the LGBT Resource Center at 315.443.3983 or lgbt@syr.edu. Additional information about Coming Out Month will be available on the LGBT Resource Center website.